Romania’s Alexandru Cazacu emerged as the player to attract the attention, as matters commenced in the qualification stage of Men’s Singles event at the DHS 2017 Lausanne Open on Friday 10th February. Currently listed at no.328 on the Men’s World Rankings, the 28 year old caused upset on both visits to the table. He beat Kanak Jha of the United States, listed at no.237 in three straight games (11-8, 11-8, 11-7), in addition to causing an even greater surprise by overcoming Stéphane Ouaiche, named at no.67 (11-9, 8-11, 11-2, 12-10). A surprise defeat for Stéphane Ouaiche, the second highest rated player on first stage duty; there was also a surprise reverse for Mexico’s Marcos Madrid, the fourth highest listed. He was beaten by the Slovak Republic’s Samuel Kaluzny in three straight games (11-6, 13-11, 11-9). Presently Samuel Kaluzny is named at no.386 on the Men’s World Rankings, Marcos Madrid at no.146. Success for Samuel Kaluzny when facing Marcos Madrid but when confronting Frenchman Paul Gauzy it was defeat; he was beaten in five games (4-11, 12-10, 10-12, 11-5, 11-6). Paul Gauzy, World ranked no.255, remains the one unbeaten player in the group; in his further contest on the opening day, he overcame Switzerland’s Lars Porsch (10-12, 11-6, 7-11, 12-10, 11-5). Two matches played two wins for Paul Gauzy. One match to play in each of the five groups, in addition to Paul Gauzy, colleagues Adrien Mattenet, Antoine Hachard, Joe Seyfried and Andrea Landrieu remain unbeaten as does the Slovak Republic’s Samuel Novota and Spain’s Marc Duran. 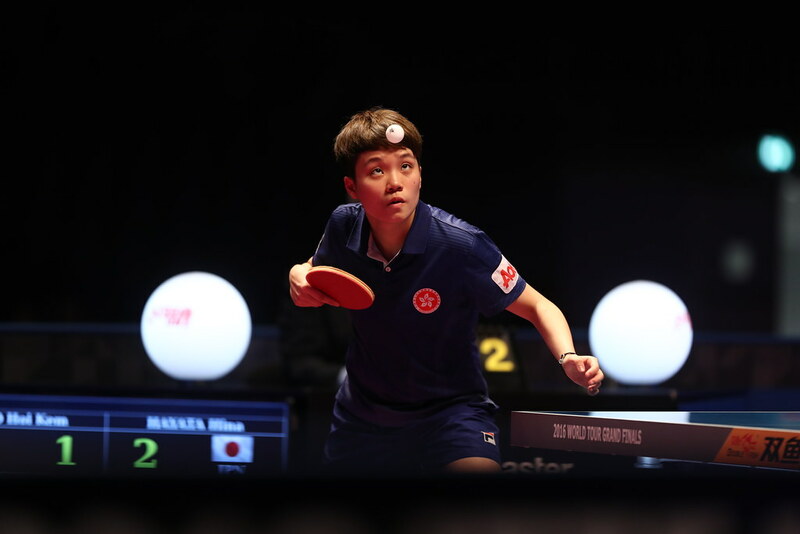 Meanwhile, in the qualification phase of the Women’s Singles event, where there are three groups in the initial stage, Azerbaijan’s Ning Jing and Wang Miao are unbeaten. Likewise Ukraine’s Ievgenlia Vasylieva, Emmanuelle Lennon of France and Emina Hadziahmetovic of Bosnia-Herzegovina also possess unblemished records. Play continues on Saturday 11th February.